today I’m going to show you what is going to happen with Material resources when you assign additional Work resources to the Task which has already started and have some actuals. 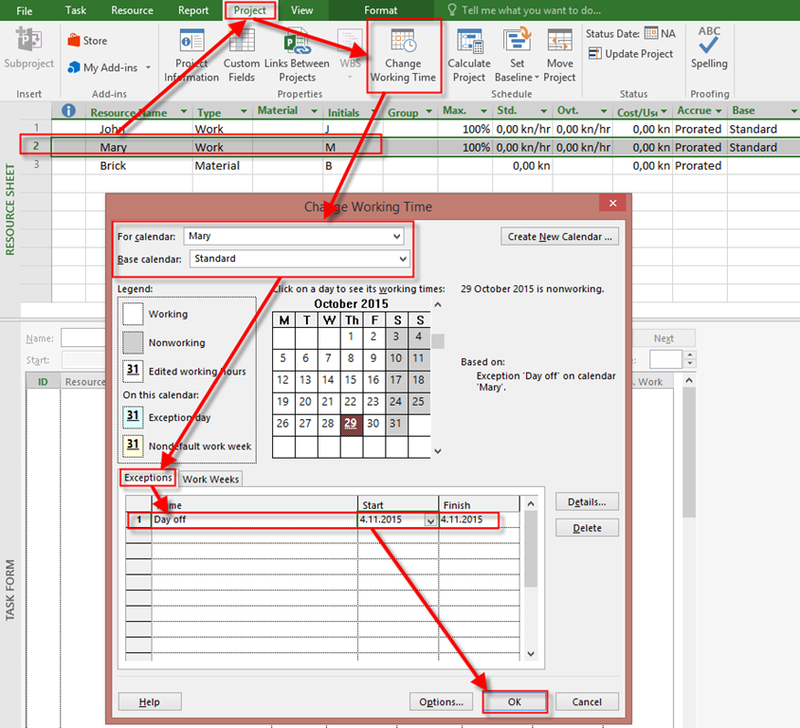 I will use Microsoft Project 2016! Because Mary has a day off, Duration is now 6 days, and that mean that the Rest of work will be done in 4 not 3 days! That means that the Rest of Material resource should be split among these 4 days, and it will be 60/4 days = 15 bricks per day! What If I assign Mary but the Task is effort driven? As you can see, remaining hours (40 Total work – 16 Actual work for John) is 24 hours. Task is effort driven so those hours will be split among John, and Mary (12 hours each of them). John will work 8 hours at Wednesday, and remaining 4 hours at Thursday. Mary has a day off at Wednesday, and she will work 8 hours at Thursday, and remaining 4 hours at Friday. What about Material Resource, e.g. Brick? Since the new duration is 4,5 days, and actual duration is 2 days, it means that remaining duration is 2,5 days. Remaining Material Resource to spend is 60 Bricks, so it is 60 /2,5 = 24 bricks per day no matter who will work and how much per day. That means that at Wednesday and Thursday 24 bricks are going to be spend, and at Friday (half day), only 12 bricks are going to be spend. So be careful when you assigning additional Work resources to Task which already has been started and have some actuals. This entry was posted in MICROSOFT PROJECT, Microsoft Project 2013, Micsrosoft Project 2016, MS PROJECT 2010, PMI, PRoject Management and tagged microsoft project 2016 - resources. Bookmark the permalink.